Are In Dubai And looking For A Bike? 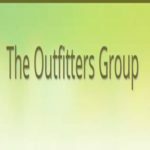 OutfittersGroup Default Asked on November 18, 2018 in Classifieds. EatimadTraining Default Asked on October 17, 2018 in Classifieds.